Samsung finally unveiled and made the next in its line of Note series devices official. The Galaxy Note 9 is pretty much all that the rumors and leaks claim it was along with a few surprises thrown in for good measure. First off, let’s round up the specs even though we outlined most of them. The Note 9 comes with a 6.4 inch Super AMOLED display that’s a notch above the 6.3 inch of the previous Note 8 (and it’s notch-free). It comes equipped with the Snapdragon 845 / Exynos 9810 chipset depending upon which market you’re in and has a large 4000 mAh battery to power it through a day’s worth of normal usage. RAM is 6 GB while the minimum storage has been upgraded from 64 GB to 128 GB. There will also be a variant with 512 GB of storage with microSD card support for up to 512 GB, potentially giving you a maximum possible 1 TB of storage. The camera module is pretty much the same as the S9+ with the f/1.5 – f/2.4 variable aperture dual-camera setup (12 MP + 12 MP) allowing for differing amounts of light to be captured in. Also supported is 960 fps slow motion popularized by the Sony Xperia XZ1. The yellow colored S-Pen is where most of the surprises sprang up. It has a small chipset of its own that allows for Bluetooth connectivity with the Note 9, enabling it to act as a remote control of sorts for the device. 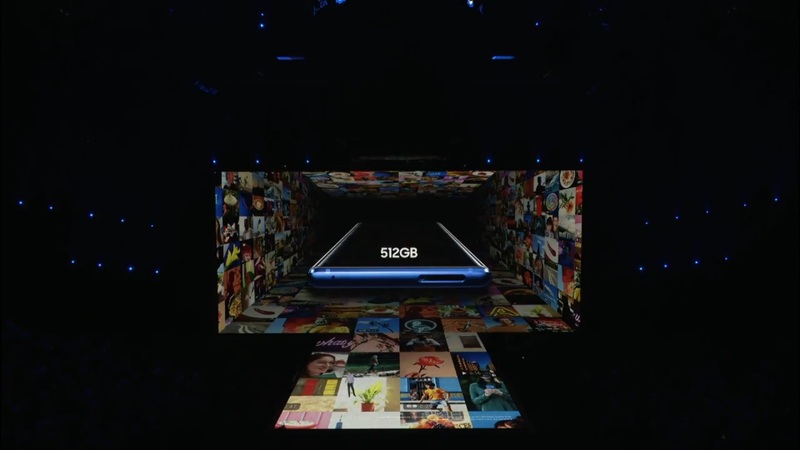 This means you can use it to click pictures, navigate powerpoint slides or even control other aspects of the Note 9. And Samsung is committed to releasing an SDK for the S-Pen that should allow third-party app developers to come up with their own custom-actions for the nifty S-Pen. The in-built Bluetooth means though that it’ll need to be charged frequently and while Samsung didn’t explicitly mention its battery life, it did specify that the S-Pen takes about 40 seconds of charging up for a half-hour’s worth of use. The Note 9 is also built keeping gaming enthusiasts in mind. In addition to the industry-grade water-cooling solution to keep its internals from heating up too much, the phone also comes with the promise of Fortnite invites. That’s right, Epic Games CEO Tim Sweeney confirmed on stage that early invites for the Android beta of Fortnite should begin rolling out this week, with the invites for the Note 9 out already. I’m presuming that means those who’ve pre-ordered the Note 9 get access to the Fortnite invite. 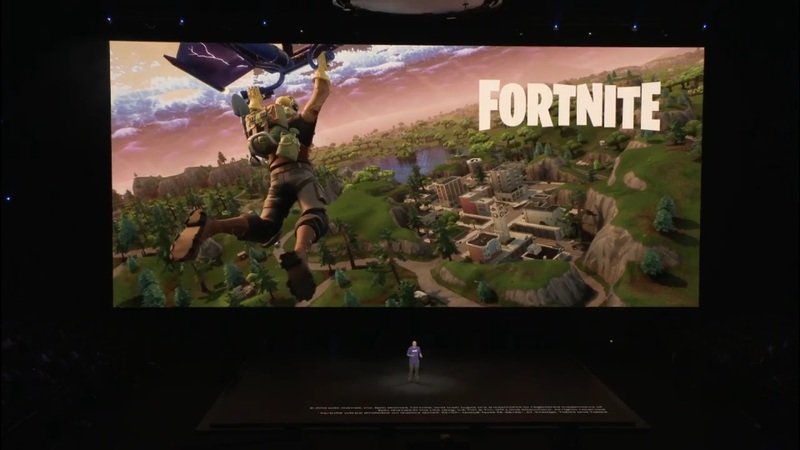 It’s also speculated that Fortnite will be exclusive to the Note 9 for a while before it arrives on other Android phones, albeit the same wasn’t confirmed at the presentation. And finally, there’s Samsung Dex, Samsung’s nifty solution to extend your phone’s functionality to a monitor by simply plugging in an HDMI dongle. The phone’s screen is decoupled with the monitor’s so for instance, you may be watching a video on the monitor while browsing the web on the phone. The Samsung Galaxy Note 9 will be available starting August 24 for a price of $999 for the base version with 6 GB of RAM and 128 GB of storage, with the premium 512 GB variant costing $1,250 (that’s steep). The pricing is similar across Europe with the base variant priced at €999 and the premium 512 GB model costing €1,249. GSMArena has a complete listing of pricing and color details, in case you’re interested. Pre-registrations are open on Samsung’s site so head-on over to preserve your copy today.